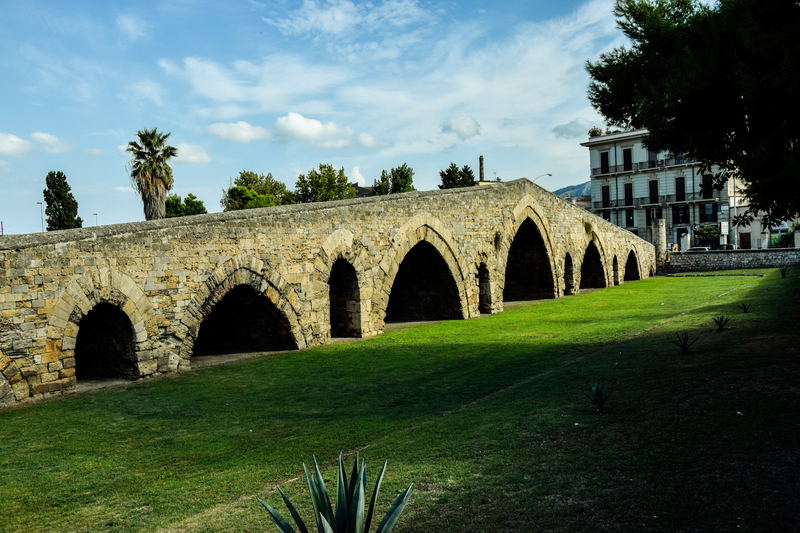 It was completed around 1131 by the will of Giorgio d’Antiochia, admiral of King Ruggero II of Sicily, one year after the birth of the Kingdom of Sicily, to connect the city (become capital) to the gardens beyond the Oreto river. Even today in the square, called Scaffa, is a symbol of the link between the city center and the peripheral area Brancaccio. Since July 3, 2015, it is part of the World Heritage Site (UNESCO) within the “Palermo-Norman Palermo Route and the Cathedrals of Cefalù and Monreale”.